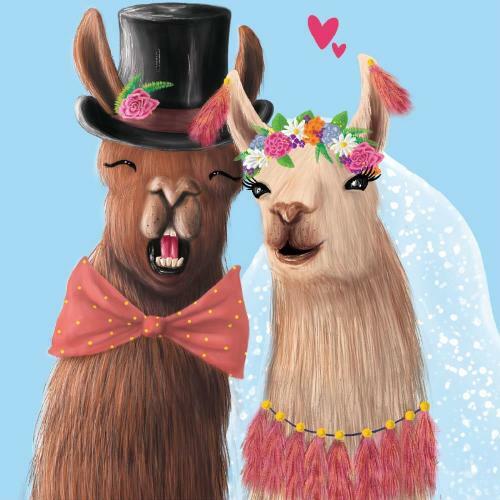 The perfect wedding card to gift your quirky kooky newly wed friends! Illustrated by La La Land intern, Lauren Gearney. 14 x 14 cm greeting card with illustrations inside and out. Includes a kraft envelope.